Excursions to the islands on the famous boat "Zodiac"
The Far East is really amazing place in Russia. Here the nature is unique, the freedom of spaces is fabulous, the flora and fauna is the richest one, and the landscapes are different: volcanoes, mountains, severe seas and thousands of various islands. But the main feature of this territory is its remoteness and difficult of access. 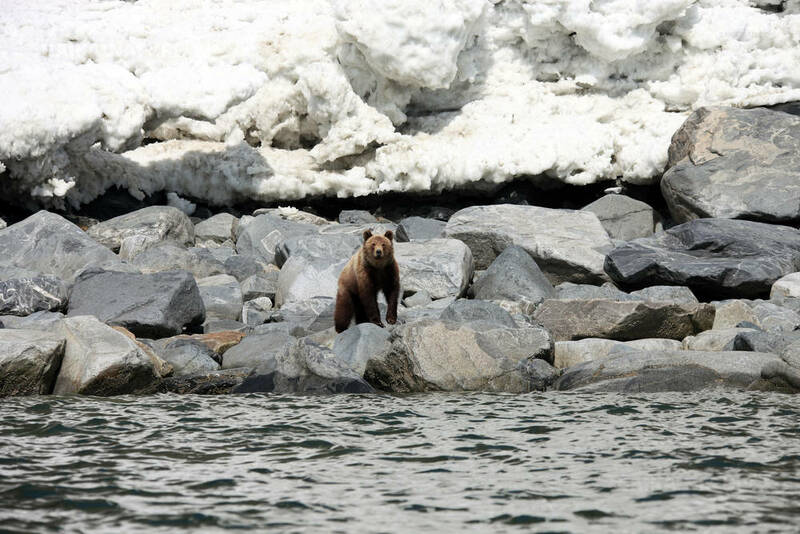 During this tour you will more likely meet the brown bear or whale then a local person! 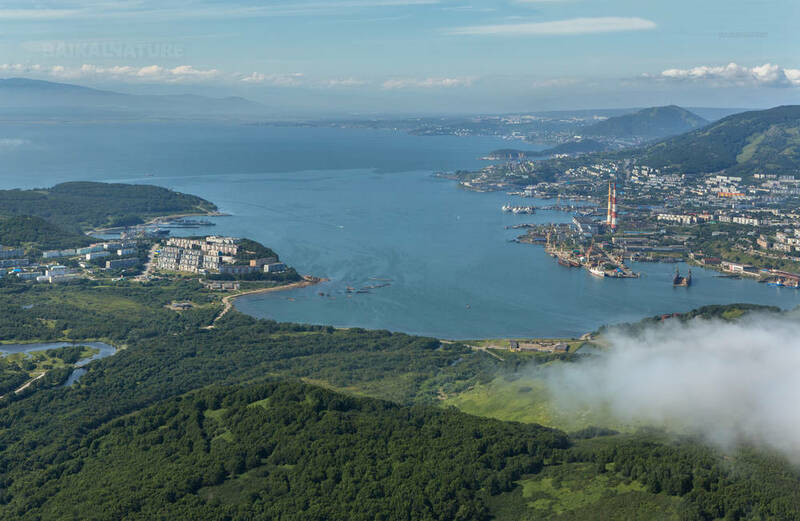 The real treasure of the Russian Far East – its natural riches and we will acquaint you with them with great pleasure. 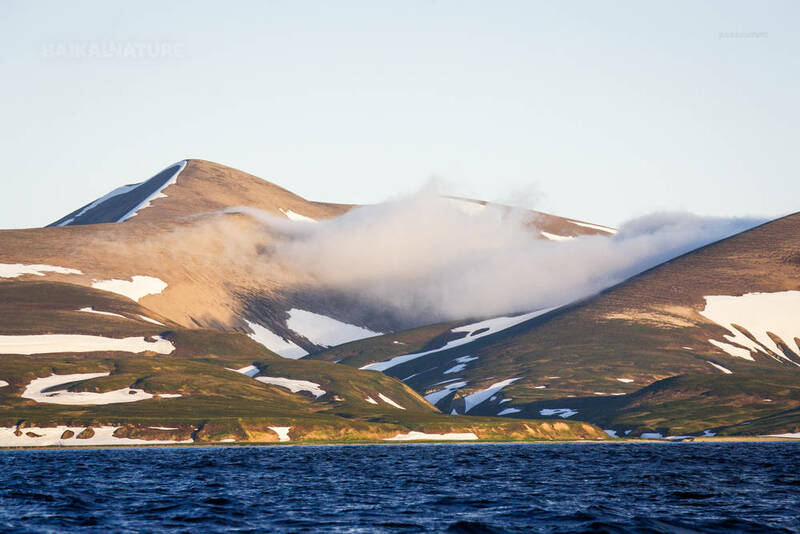 The cruise starts near the Chukotka with its severe north landscapes of the Polar tundra, quiet bays and noisy rookeries. Then we will navigate the Bering Sea and visit the Commander Islands – very special place isolated from the civilization. 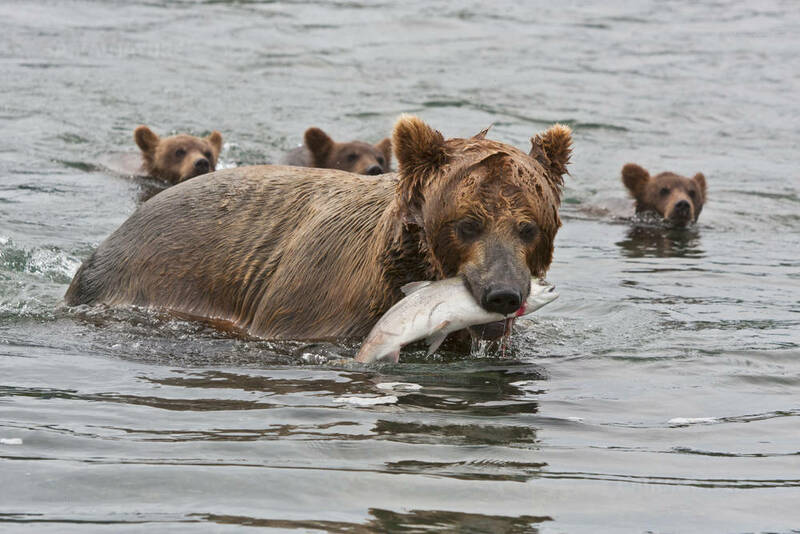 In the end of the voyage we will go along the Kamchatka peninsula coast known by volcanoes, mountains, picturesque landscapes and the real hosts of the region – brown bears. This region is so rich and wild, that you will feel yourself as a real discoverer. The unique flora and fauna are able to impress even the most experienced travelers. *The indicated time is approximate and can be changed according to your flight. We will pass the water area of Anadyr where it's possible to see the belugas. This coastline is occupied by marine mammals and there is a known haul of walruses - the creatures we will be looking for in particular. The bukhta (or bay) was named after Commander Vitus Bering’s ship - St. Gabriel of the First Kamchatka Expedition. Behind the expansive beach there is a lagoon where we can explore waterfowls and waders. 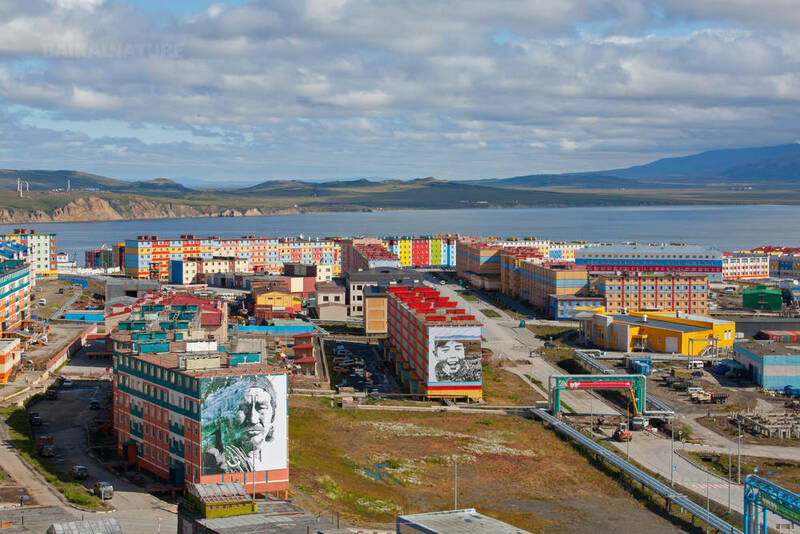 We continue our navigation in the Anadyr bay. The expedition crew has prepared for you lectures and presentations about the region ant its exploration. We will go along the Naravin cape. Near the cape there are a lot of whales and flocks of sea birds. 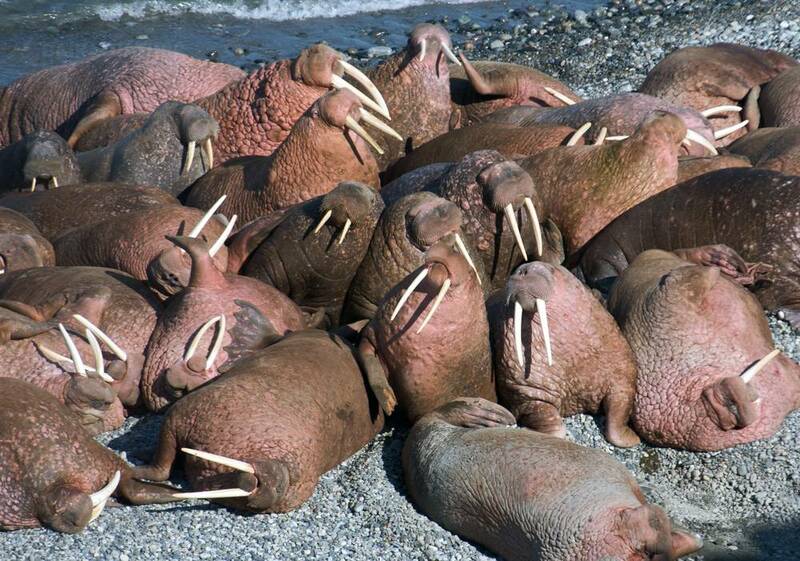 We start the day with a visit to the delta of Pika River – a well known walrus haul out. 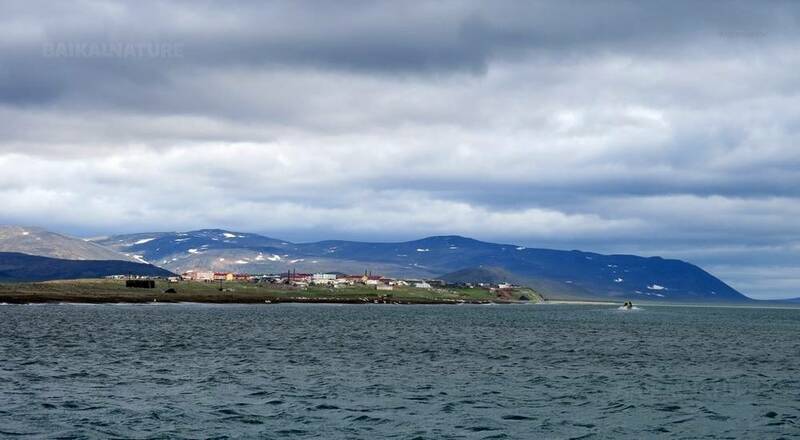 Later the day, we visit Meinypil’gyno – a small settlement located on a 60km long shingle spit. It is a traditional village although renovated under the recent Chukotka government; we enjoy local hospitality from the village ensemble who perform some of their traditional dances for us. Along the Koryak Coast there are many beautiful fiords (bukhtas or bays) with the most beautiful of them – Bukhta Natalii. Bukhta Natalii has two smaller fiords flowing into it from the south. 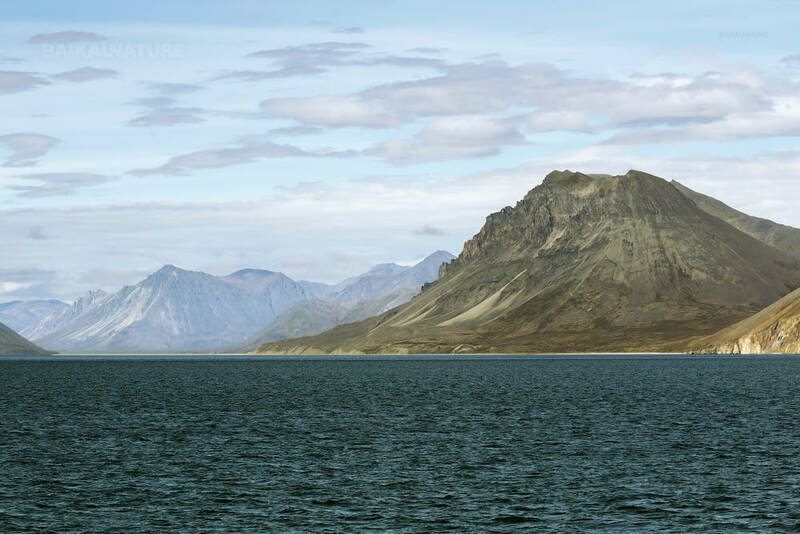 We hike from one bay to another being surrounded by the magnificent mountain landscapes and tundra vegetation. Much of the southern Govena Peninsula was recently ranked as state reserve. There is a number of fiords included in the reserve; one of the most spectacular is Tintikun Lagoon which is one of the most picturesque locations found anywhere in the world. 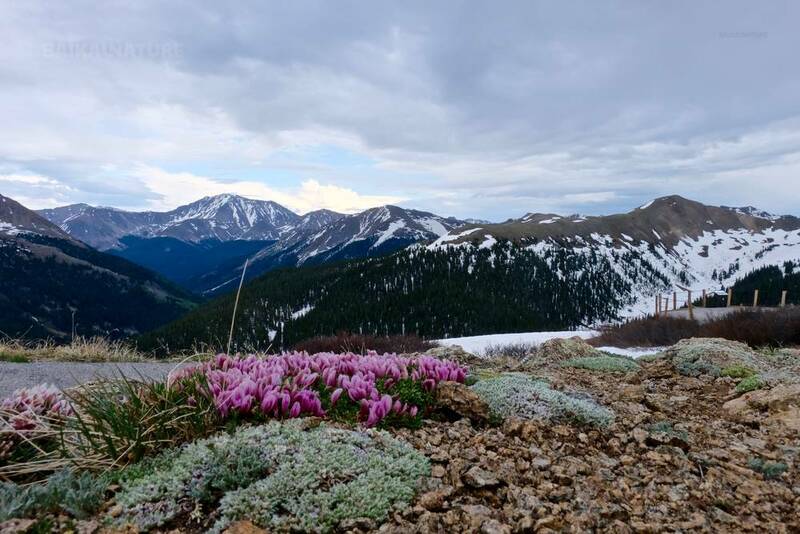 A large population of brown bears inhabits this area, if we are fortunate we will see some of them. Our morning starts from a visit to an undisturbed habitat of Kamchatka Brown Bear within the Karaginskiy Reserve. This area is completely protected and rarely visited. In the afternoon we visit Verkhoturova Island where Tufted and Horned Puffins, Pigeon, Common and Brunnich’s Guillemots and also Parakeet and Least Auklets can be seen. 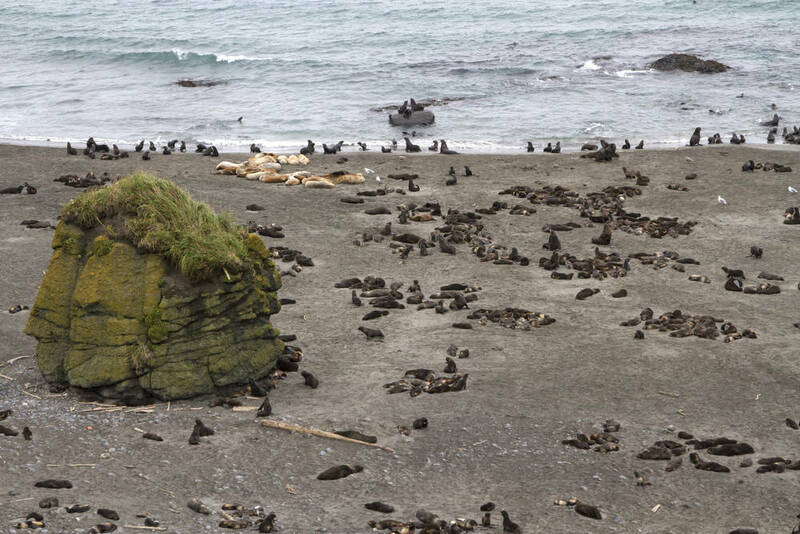 On nearby rocky islets there is a regular non-breeding haul out of Steller Sea Lions. A few miles to the south from Verhoturova Island there is the a larger Karaginskiy Island. There is a change from the tundra landscape to a forest area – a sure sign that we are getting further south. Autumn is the best time for growing wild berries and we can marvel at the richness of local flora. The Commander Islands were first discovered by Commander Vitus Bering when his ship wrecked there in 1741. He perished along with many of his men. The reports from those who survived led to a fur rush in the local settlement. There are two large islands (Bering and Medny) with two smaller ones Ariy Karmen and Toporkov. We intend to explore the islands by passing a complex of landings and cruising on “Zodiac” ships. One of the stops on our way will be the village of Nikolskoye. We plan to take a look at a fur seal rookery in North West Cape and have a cruise on “Zodiac” ship around an impressive bird colony at Ariy Kamen. There is an opportunity to visit the gravesite of Commander Vitus Bering or the remarkable Medny Island. 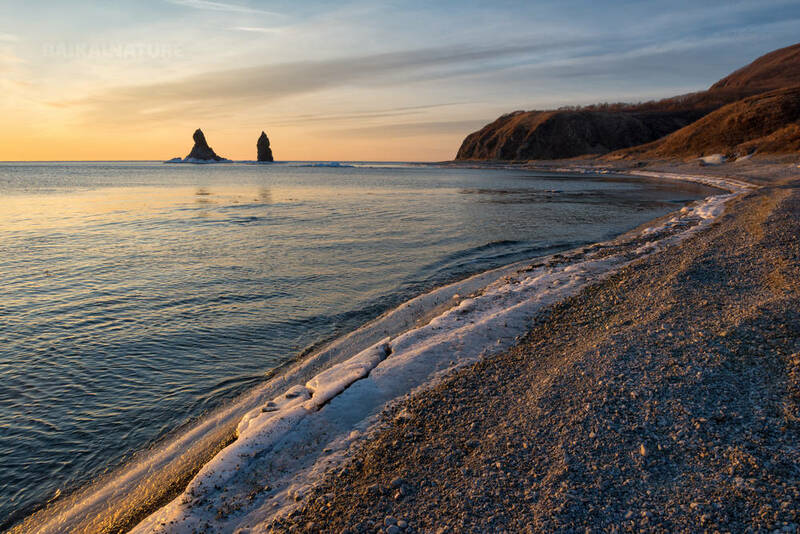 Olga bay is a part of the very large Kronotskiy Reserve, which also includes the world-famous Valley of the Geysers. The habitat has lush Kamchatka forests stretching down to the beach. Gray Whales that frequently come to the area are usually quite friendly to boats that moor in Olga Bay. 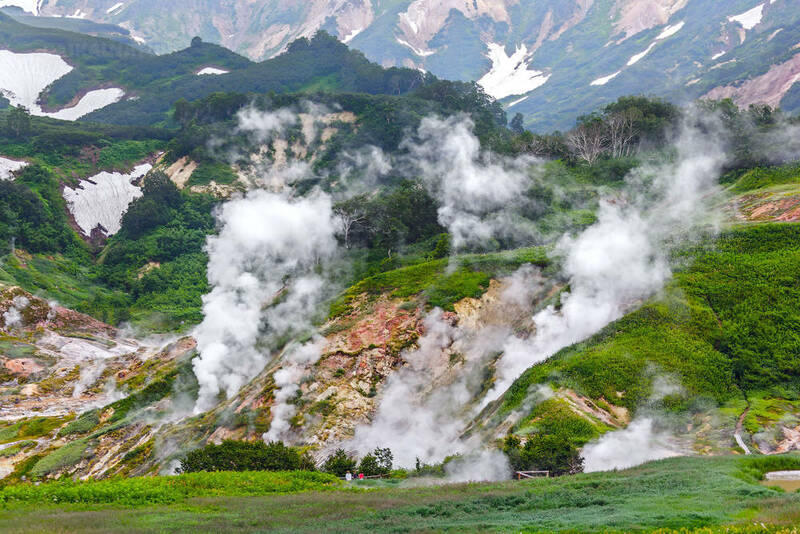 The rising volcanoes in the background will provide a beautiful setting to explore real Kamchatka wilderness. This morning we make our way along the Zhupanova River on “Zodiac” ship. This journey allows us to explore a common habitat Kamchatka river in. 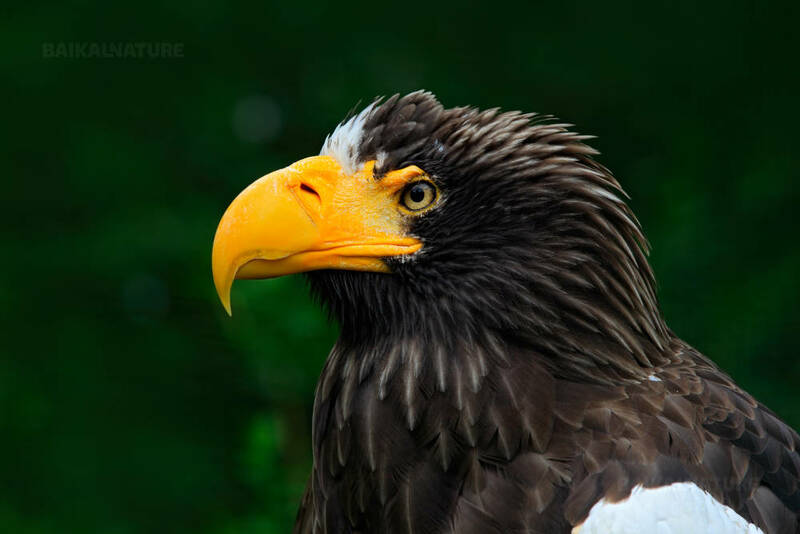 Steller’s Sea Eagles are known to nest in the lower reaches of the river. In the afternoon according to the weather conditions we will land on the Shipunsky cape or go along the Kalashnikov island. The price is given for the Main Deck Triple / for 1 person (one upper and 2 lower berths, simple comfort accommodation, toilet and shower outdoors. The cabin has one bunk (one upper and one lower) and one lower berth, wardrobe, drawers, a desk and wash basin). Port charges - 500 $. To book the others categories, the following supplement is applied: + 600 $ for the Standard Twin Cabin with simple comfort accommodation, toilet and shower outdoors. The cabin has one bunk (one upper and one lower) and one lower berth, wardrobe, drawers, a desk and wash basin. + 1 100 $ for the Superior Cabin (bunks (an upper and lower berth), wardrobe, drawers, a desk, a private bathroom with shower, toilet and washbasin. These cabins have windows. + 1 800 $ for the Superior Plus Cabin (two lower berths, wardrobe, drawers, desk, a private bathroom with shower, toilet and washbasin. These cabins have windows. + 2 300 $ for the Mini Suite Cabin (a separate bedroom with a double bed and a single bed or a sofa in the lounge, wardrobe, drawers, a desk and a private bathroom with shower, toilet and washbasin). The Mini Suites have windows. + 3 100 $ for the Capitan Luxe Deck (a large lounge area, a separate bedroom with double bed, a single bed in the lounge, writing desk, wardrobe, drawers). There is a private bathroom with shower, toilet and washbasin. There are large forward and side facing windows to allow great views.